Happy new year! We hope 2018 has begun well for you. 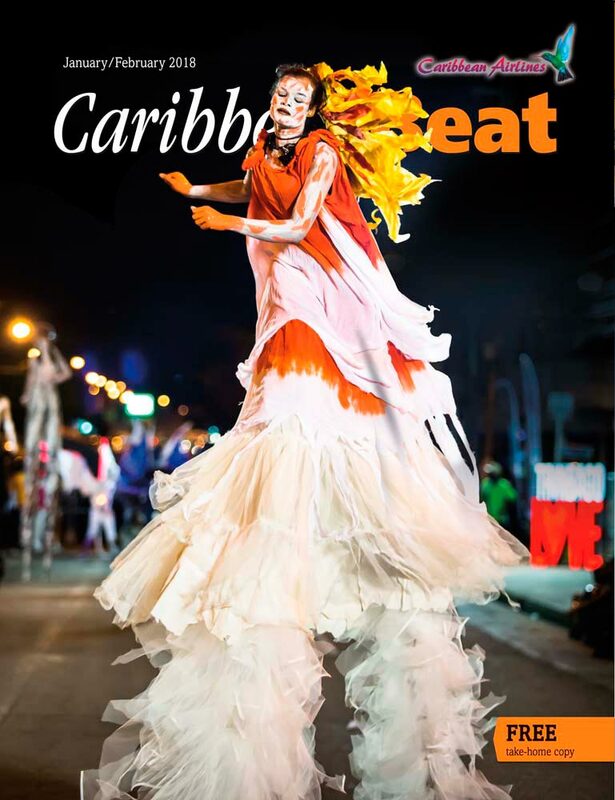 With our new January/February issue of Caribbean Beat (#149), we bring our 25th anniversary year to a close…and prepare for the 150th issue of Beat this March/April! The cover of our bumper Carnival edition features Stephanie Kanhai of the Touch D Sky moko jumbie group on the road at T&T’s Carnival 2017, as captured by Maria Nunes.